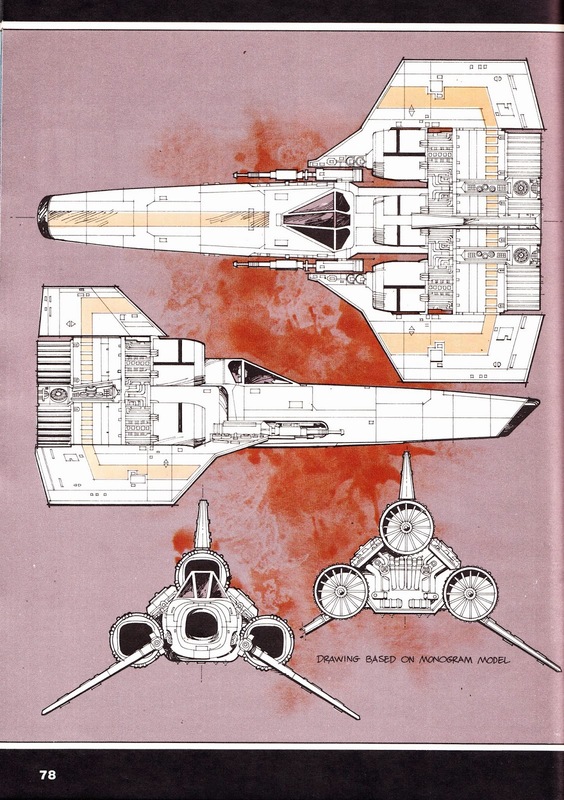 This is a page, featuring the Colonial Viper from BATTLESTAR GALACTICA, from the 1978 one-shot book/ magazine FAMOUS SPACESHIPS OF FACT AND FANTASY. There were similar pages devoted to the Cylon Raider, Moonbase Eagle, X-Wing Fighter, T.I.E Fighter and the TV-era Enterprise and I'll post them here from time-to-time. The 'ketchup' stain is a design quirk… honest.